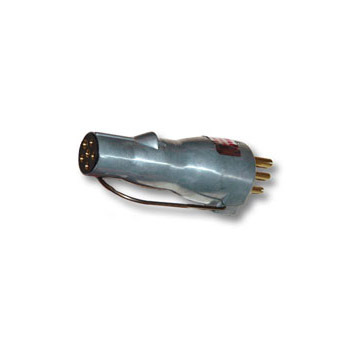 Designed to adapt a standard SAE 7-pin plug (used in Semi Truck/Trailer connection cables) to the SAE 6-pole sockets usually found on the front of older semi-trailers. SAE 7–Pin plug — same configuration as all SAE 7-Pin sockets. Other end has an SAE 6-pole plug — fits in tow vehicle socket or older semi-trailers. Constructed of die cast metal for impact resistance.